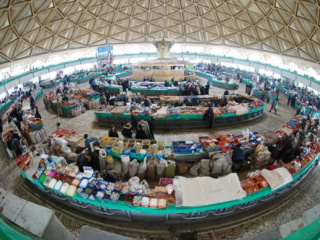 Samarkand is the second-largest city in Uzbekistan and is located in the south of the country, near Shahrisabz and the border with Tajikistan. Samarkand is on UNESCO's World Heritage List, and has been a center of learning and culture in Central Asia for thousands of years. Samarkand is even said to have constructed the first paper mill in the Islamic world after two Chinese prisoners told the secret of papermaking, which then spread throughout Central Asia and Europe. Even Alexander the Great was impressed with the city, saying "Everything I have heard about Samarkand is true. Except that it is more beautiful than I ever imagined." Travelers who tour Uzbekistan still feel this way about the magical city today. SamarkandSamarkand is one of the oldest inhabited cities in the world, and it blossomed as a center of trade when travelers on the famous Silk Road from China to the Mediterranean passed through the city. It was probably founded around 700 B.C. by Persians, and it was conquered by the famous Alexander the Great in 329 B.C. Samarkand later became a part of a kingdom of Turkey, and was sacked along with many other cities in Central Asia by Genghis Khan in 1220. The famous ruler of Central Asia Timur (known in Europe as Tamerlane) later rebuilt Samarkand and made it the capital of his empire. The city of Samarkand shows the great diversity in its history with its beautiful variety of monuments today. SamarkandOne of the famous monuments in Samarkand is the Bibi-Khanym Mosque. The mosque is one of the most impressive buildings in Central Asia, built by Timur around 1400 for his new capital city. The outer walls are nearly 200 yards long, and the whole building is covered with gorgeous mosaics in different colors and patterns, restored in 1974 by the Uzbekistan government. 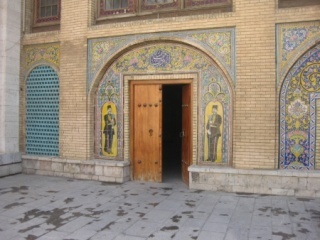 There is a large marble Quran stand in the mosque's courtyard, and a historic bazaar nearby.